University of Pennsylvania Press, 9780812241969, 224pp. Hindu nationalism has been responsible for acts of extreme violence against religious minorities and is a dominant force on the sociopolitical landscape of contemporary India. How does such a violent and exclusionary movement recruit supporters? How do members navigate the tensions between the normative prescriptions of such movements and competing ideologies?To understand the expansionary power of Hindu nationalism, Kalyani Menon argues, it is critical to examine the everyday constructions of politics and ideology through which activists garner support at the grassroots level. Based on fieldwork with women in several Hindu nationalist organizations, Menon explores how these activists use gendered constructions of religion, history, national insecurity, and social responsibility to recruit individuals from a variety of backgrounds. As Hindu nationalism extends its reach to appeal to increasingly diverse groups, she explains, it is forced to acknowledge a multiplicity of positions within the movement. She argues that Hindu nationalism's willingness to accommodate dissonance is central to understanding the popularity of the movement. "Everyday Nationalism" contends that the Hindu nationalist movement's power to attract and maintain constituencies with incongruous beliefs and practices is key to its growth. 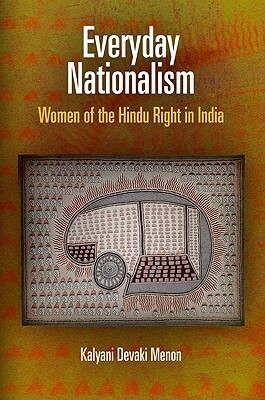 The book reveals that the movement's success is facilitated by its ability to become meaningful in people's daily lives, resonating with their constructions of the past, appealing to their fears in the present, presenting itself as the protector of the country's citizens, and inventing traditions through the use of Hindu texts, symbols, and rituals to unite people in a sense of belonging to a nation. Kalyani Devaki Menon is Associate Professor of Religious Studies at DePaul University.